Ahhh, Hollister: the bane of four-eyed late-bloomers everywhere. Hollister has always been my least favorite of the Unholy Trinity (which also included Abercrombie and Fitch and American Eagle). As a pasty east-coaster, I find little to relate to in Hollister’s obnoxiously SoCal vibe. Despite all that, I somehow have in my possession a bottle of Hollister August, which is apparently now a discontinued treasure. August is currently going for $200 and up on eBay, and after spending some time with it I can confidently say that I have no idea why. August smells like every single other Hollister perfume, which is to say that it smells like a generic, loathsomely strong men’s cologne with unidentifiable citrus topnotes. 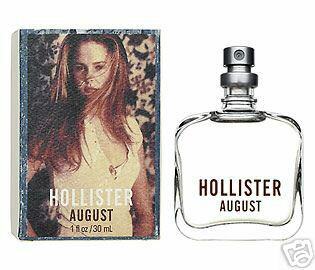 Hollister claims that August is a “unique and crisp citrus aroma with multi-floral bouquets and driftwood undertones”. There are no floral bouquets, and “unique” is the best joke I’ve heard all week. 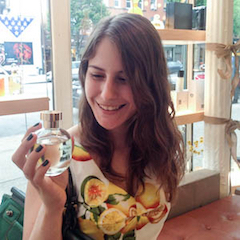 If August was really and truly the great perfume love of your life, please take heart in knowing that any department store currently stocks hundreds of fragrances that smell exactly like it. I think ‘unholy trinity’ is the best description of those three I’ve ever heard. Truly, they are an abomination (to continue the religious theme). Hopefully you are now going to sell your bottle and make some $ on ebay! If anyone is really foolish enough to pay those insane prices, who am I to deny them of their beloved August?? how much do you want for the bottle? I reallyy would love to pay for it. It has been my one and only favorite perfume. Blame it on bad taste I suppose, but please offer me the chance. If you hate it, this idiot will take it for free! I will not sell it either. I will wear it sparingly and lovingly. It may not be your favorite scent, but I love it!